I have been fortunate to live and to travel to many places in Europe during my lifetime and I have written a number of articles about some of these beautiful places. But, the most precious place I have been in Europe is in Italy and is the birthplace of my maternal grandfather, Eduoardo Guglielmi, in Isernia, Italy. It is an absolutely beautiful city of about twenty to twenty-five thousand people, about sixty-five kilometers east of Rome, nestled at the base of the Appenine Mountains. Here live the families of three of my grandfather's siblings and I have visited with them several times over the last thirty years, most recentlly in the spring of 2010. 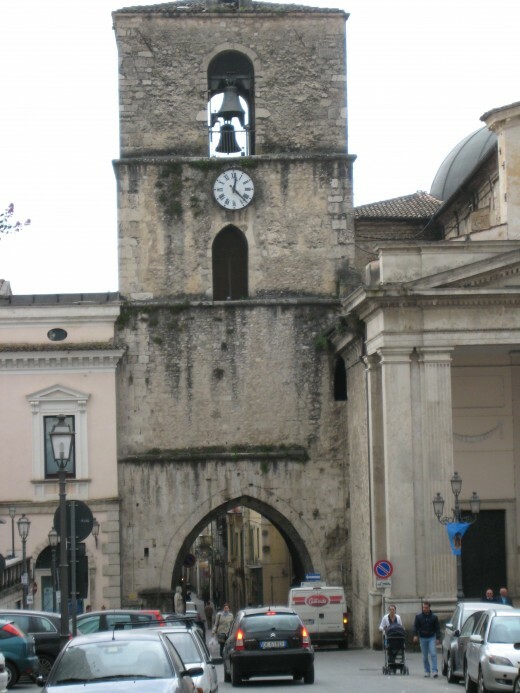 Isernia in Italy has one of the oldest histories of any city in the entire country of Italy. 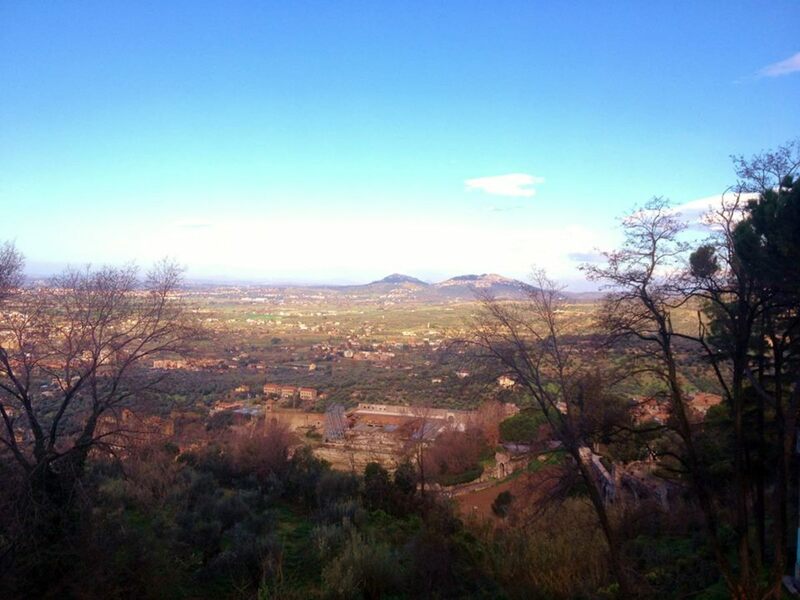 It was founded three centuries before the birth of Christ by the Samnites, a warrior tribe of original Italian people. 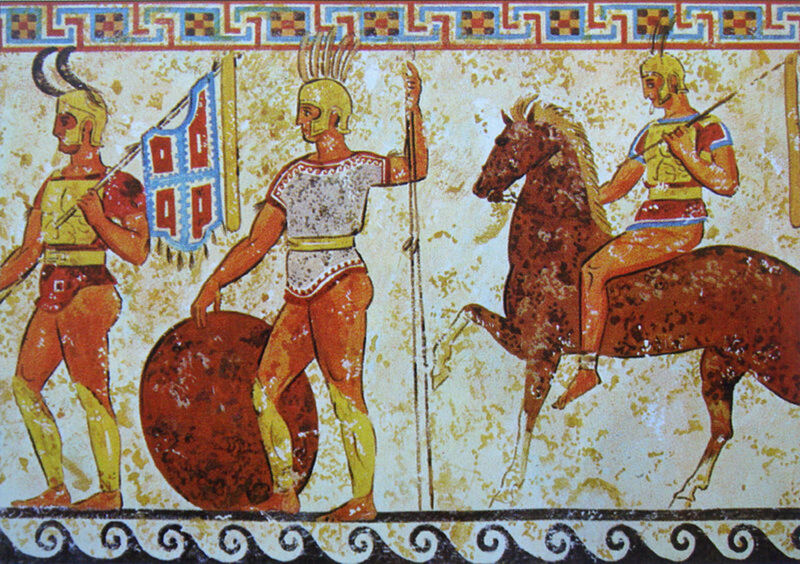 The Samnites ruled the Abruzzi-Molise region of Italy up until the Romans ruled Rome. They were conquered by the Romans, and for a short time had the status of slaves under Roman rule. But the Samnites were not just warriors -- they were a highly intelligent and civilized tribe of Italians and were not about to remain slaves to the Romans. The Samnites entered into negotiaions with the Romans and over time, negotiated free citizenship as Roman citizens that ended their slave status. Through legal, judicial negotiations, the Samnites became full Roman citizens on equal status with the Romans, and carved out individual freedoms of citizenship with laws to ensure these freedoms to modern times today. Not only does Isernia represent the city of my grandfather's birth, but also the birth of individual rights and freedoms and law in Italy. The photo above is a picture of the front door of my grandfather's birth place. 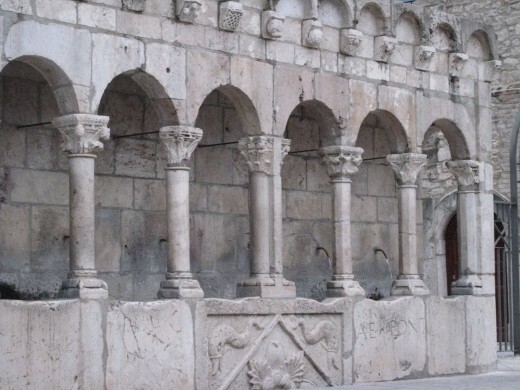 It was originally built in the 12thcentury and is in the center of the old, original part of Isernia. That home has been in my mother's family, the Guglielmi family in Italy, for all these centuries. 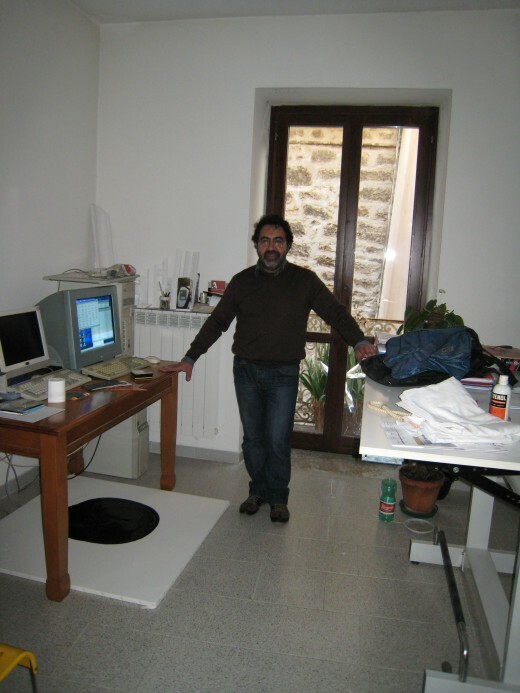 Today, my cousin, pictured above, Cosmo Guglielmi, has remodeled it inside to be his architectural office and business he runs with his wife, Adrianna, and a friend of his. All the buildings and streets in this old section of Isernia, have been around since the 12th and 13th centuries. The streets are very narrow, shaded and very cool during the hot summers in Italy. If you continue walking down this street, it empties into a large town square today called Piazza Celestino, and there you will find the water fountain pictured above. 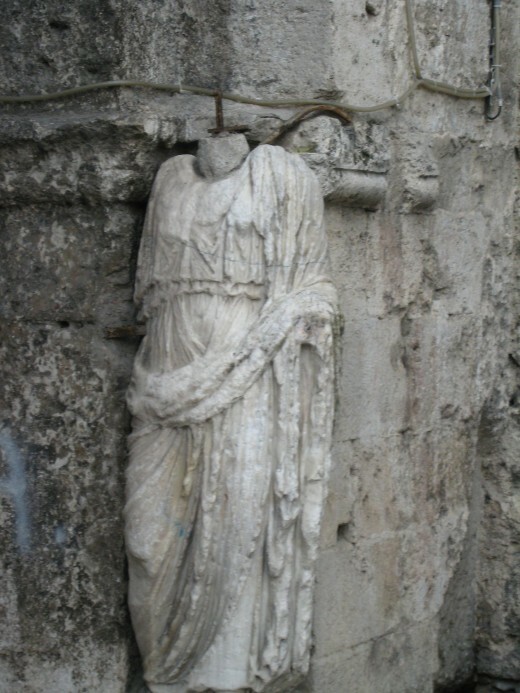 During the 10th century, the Italians in Isernia built an aquaduct that carried the water from the mountains down to the town and to this fountain. Today, the water from this fountain is fresh spring water from the Appenine Mountains and flows continuously. It is fresh and so good to drink anytime from this fountain. You can probably understand how awed I was to visit this birthplace of my grandfather (b. 1900) that has been standing since the 12th century. It is hard to imagine the Guglielmi family history that has gone on in this home for the last eight centuries. We have been able to trace our Guglielmi family history back to the thirteenth century in Isernia, Campobasso and Cantalupe, Isernia. These three cities are all in the same Abruzzi-Molise region. You cannot imagine how wonderful it is to be part of the Guglielmi family that has such a long history and has been in Isernia for so long. By the way, the name Guglielmi means Williams in English. 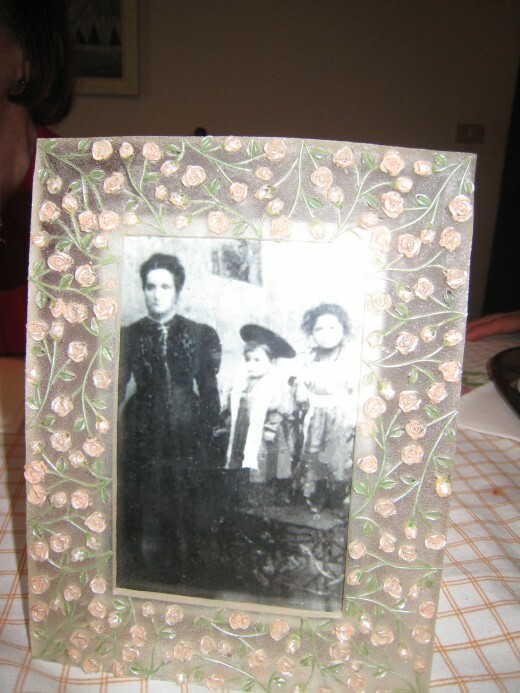 My grandfather lived and studied in Isernia and Florence until 1920 when he came to America to visit an aunt. He met my grandmother, also Italian, fell in love and stayed in America, eventually becoming an American citizen. He was an architect and stone mason and his works here in America are another story and hub. My cousins, Maria and Ana, whose mother was my grandfather's older sister (pictured above), live in the Piazza X Septembre 9, right outside of the old city gate. Today, this area is a thriving business area melding the old with the modern. 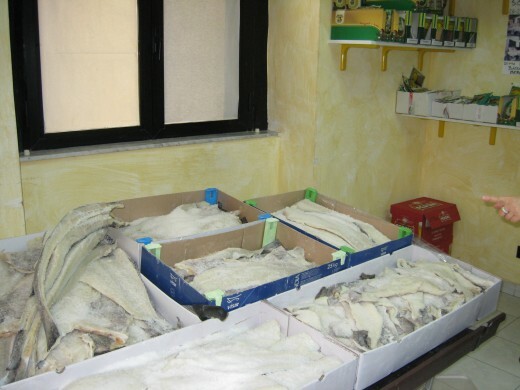 You will see specialty shops selling fish, meat and dairy products alongside the vegetable market stand. 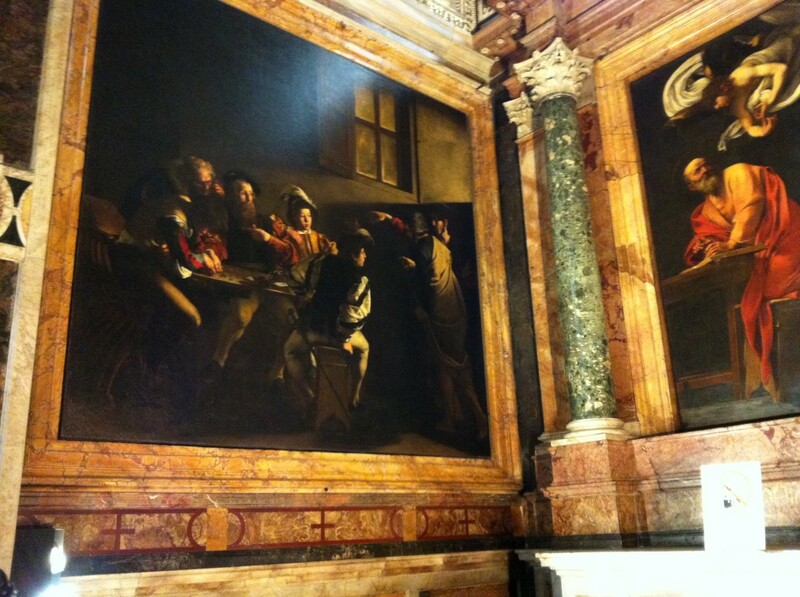 It is a blend of the old and modern ways of Italy, always preserving the original Italian culture. Maria shops daily for that day's meals and the food in Italy is so much fresher than what we get here in the U.S. My mouth literally salivates when I'm in the fresh cheese store viewing fresh mozzarella, scamortz and riccotta cheeses. The Abruzzi-Molise region is known for its great production of dairy products, cheeses and homemade wines. I can make a meal of Italian bread, cheeses and wine, alone. But, that is not how my family eats. Breakfast is always what we call a continental breakfast -- espresso, cappucino, or cafe latta and a sweet roll or cookie. Then, around eleven a.m., after the daily grocery shopping is done for the day, the Italians have a merenda, a snack, of fruit -- an Italian orange, fig, or date. This gets them to the dinner hour, one or two p.m., and the main meal of the day. This meal usually begins with procuttio (cured ham) wrapped around a piece of cantalope, then soup or pasta, then meat or fish with fresh vegetables. After this, comes the ensalada mixta (tossed salad), and then a plate of fresh cheeses and fruit. All this is washed down with an Italian table wine. This meal usually takes about two hours of eating and family discussion filled with laughter and interesting topics of the day. Then, it is back to work outside or inside the home. A late night light supper of a frittata (omelette) or a salad and bread is eaten around seven or eight p.m. Here in America, if we ate the fresh foods as the Italians do, we would not have the weight and obesity problems that we have today. The Italians do not eat the amount of processed or fast foods that we normally eat everyday here in the U.S. I know our American culture is not set up for shopping daily for our groceries, but if we did, we would be a much healthier country. It is wonderful to just walk and meander around and through the streets in the old section of the city of Isernia. Children play in the streets and piazzas (squares) and small businesses like shoe repair stores, jewelry stories, dress shops and shoe stores are scattered among the homes in this old section of town. Most of the homes are what we know as townhouses here in the U.S. The homes are narrow and three or four stories high, and the stairways in the homes are made of marble and not easy on the knees and ankles. It is amazing to watch Italians dash up and down these stairs, without railings or banisters, to go from room to room. My cousin's architecture office is on three levels, and he runs up and down steep flights of marble stairs like he is running the 100 yard dash. If you are ever in Rome and have time to make a side trip, take a day or two and see Isernia, Italy. You will find the Italians living there enchanting and charming and friendly. If you rent a car you can easily drive there from Rome or take the train (an hour and a half ride) right into the train station in the old section of Isernia. When you leave the train station, turn left and walk the winding streets into the Piazza Celestino and the water fountain. Stop at the fountain and have a drink of the fresh mineral water coming from the mountains surrounding Isernia, and stop at a cafe in the piazza for an espresso or cappucino or glass of regional wine and a dish of pasta. You will be in the heartland of Italy, and if you ask, I'm sure someone can point you in the direction of a Guglielmi family member. Linda: Yes, do share this with your daughter. She would enjoy a trip to Isernia but it is quite far from Milan. Isernia is quite a different part of Italy than in Milan in the north. It takes about, 6 hours by car and even longer by train. Bologna is a beautiful city both old city and modern cosmopolitan. That is quite an experience she is having living in Italy. How fortunate for her. VVanNess: I guess I am prejudiced - my family is from this town, but it is interesting to visit and off the beaten path so you don't find many tourists here. Thanks so much for your visit and I am pleased you enjoyed reading this. ologsinquito: Thanks so much and I am pleased you enjoyed this piece. It is an interesting small Italian town to visit. MGSingh: This town is off the beaten path and the only reason I know of it is because it is the birthplace of my grandfather. I have relatives that still live there and I have visited them often. It is a jewel of a town in my opinion and when traveling in Italy, if you want to see smaller town life, Isernia is a great place to experience it. So glad you enjoyed reading this and thanks for your visit and comments. I've always wanted to visit Italy, maybe one day. You certainly make it sound wonderful! :) Great hub! I like the personal touch to a nice travel article. Aupadhyay: Thank you for reading this and I'm glad you enjoyed it. Yes, this city is from ancient times and is so interesting to discover. Your visit and comments are appreciated. What a nice hub. Really I went through your hub in ancient era. This is a hub with the magic of tourism. thanks for sharing it. voted it up. Thank you for reading and commenting. I'm glad you enjoyed this hub. 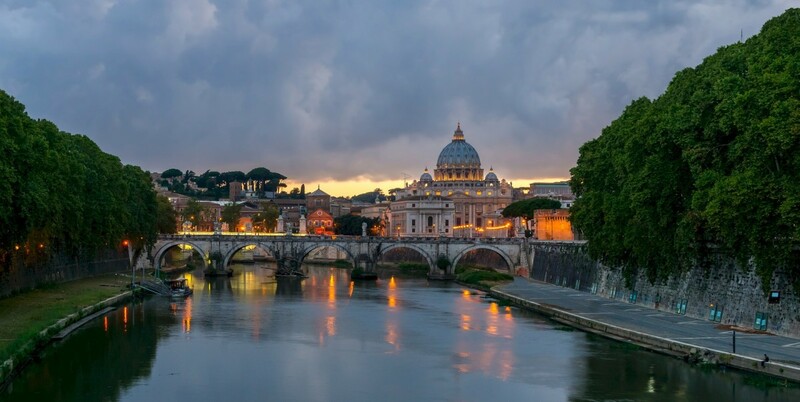 I so enjoyed your hub on Rome and your photographs. What is expensive in Isernia is land. And the apartments and condos are very expensive. There are no houses like we are used to. The food is really priced like it is here. Cars are the same price as here, but the gas is more expensive. Last year we paid $9 per liter of gas. As I'm sure you know, it takes more liters to fill a gas tank than gallons. It is an idyllic place to visit and/or live. 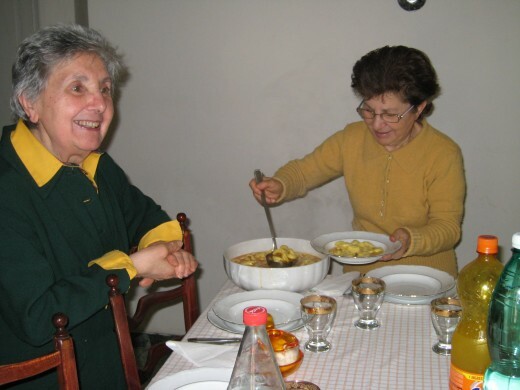 "This meal usually takes about two hours of eating and family discussion filled with laughter and interesting topics of the day." 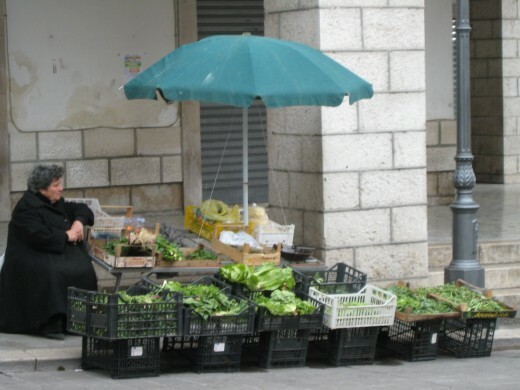 "Children play in the streets and piazzas (squares) and small businesses like shoe repair stores, jewelry stories, dress shops and shoe stores are scattered among the homes"
"Here in America, if we ate the fresh foods as the Italians do, we would not have the weight and obesity problems that we have today. The Italians do not eat the amount of processed or fast foods that we normally eat everyday here in the U.S"
"the water from this fountain is fresh spring water from the Appenine Mountains and flows continuously. It is fresh and so good to drink"
I am ready to move there. How is the cost of living I wonder? Thank you for a great article! I enjoyed the journey. Epi: Thank you for your kind comments. Yes, I have an amazing family and I know I am so fortunate to have them. 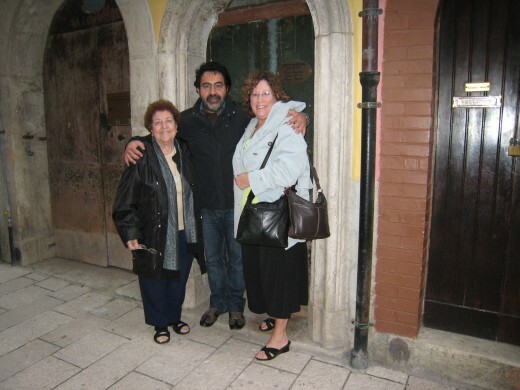 My cousins in Italy are really wonderful people and open their arms to our visits and we to them. I value your input and opinions so much and I enjoy reading your hubs so much. You are quite a clever and creative man with a wonderful sense of humor. ...what an absolutely beautiful hub subject about family and home - two of the greatest stories ever told - I really actually found this journey of yours very touching and moving - and yes I love the pictures - a picture tells a thousand words - and here in this labor of love there are a million of them. A new amphitheater, awesome! And from the 3rd century B.C. at that. Exciting is the word. Wish you could get some pics on it suzette. Thanks for the info! Thank you and I'm glad you enjoyed it. This little city is amazing and the history just about knocks me over. Do visit here if you have a chance as it actually has ruins, called Piediamondante,a few miles outside of Isernia where archaeologists have uncovered an amphitheater and some other buildings from the 3rd century BC. I just didn't have any recent photos I could use on this hub. Hi suzettenaples! Love Roman history. This is a very pleasing write on Isernia and your visit with cousins. With your wonderful descriptions and pics its the next best thing to being there in person. The ladies have the right idea about shopping too! Thank you suzette! Yes, my mom's side of the family is amazing, but you and your family have a long history, too. And, the town you are from is beautiful. I love history as well, and Italy is just chock full of it. But, so is England and I love visiting your country. I will look for the Italy program on our PBS. Hello Hyphen: This is my favorite hub also. It is from the heart and partly why we are here in America and where we came from on my mom's side of the family. We keep in contact with our cousins in Italy and some of them do come here from time to time. I hope to do one on my Dad's side of the famiy sometime, but I have to do more research on the German side of the family. When you make your big trip to Europe, when in Rome (because I know you will go someday!) take a trip to Isernia and introduce yourself to the Guglielmi family and you can tell them you are a friend of mine. Oh, how I love this Hub. It is a testament to your love for your family and their homeland. Just precious. The city is gorgeous and you have shared interesting tidbits and history with us. I LOVE the photos and well just everything! Well done. This is and shall probably remain my favorite Hub of yours. This one is from your heart.